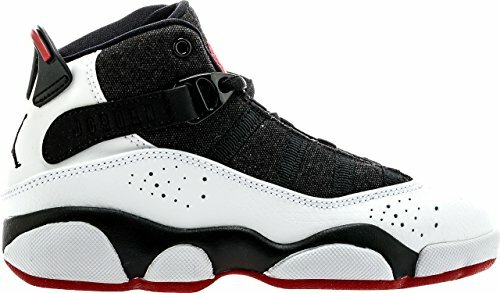 The Air Jordan 6 Rings Preschool Boy's Basketball Shoe is lightweight flexible and durable. It's a revolutionary mixture of traditional glory and technology. Made with high quality uppers and technical outsole the Jordan 6 Rings gives an ultra light and flexible feel with it's excellent grip and good sense of steering. Get your little champion an iconic look with Jordan 6 Rings Basketball Shoe.